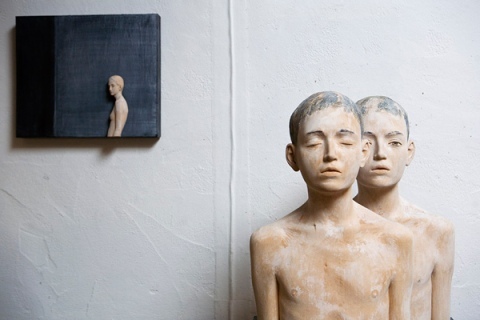 Born in 1959 Bruno Walpoth lives and works in Bolzano, Italy. 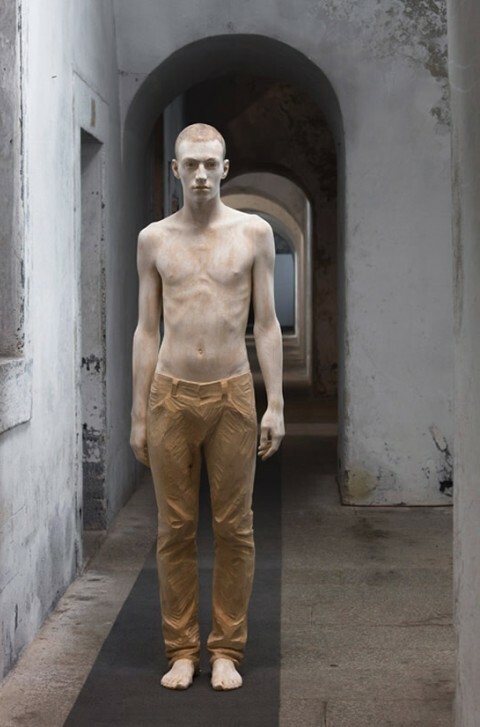 He creates life-size wooden figures. 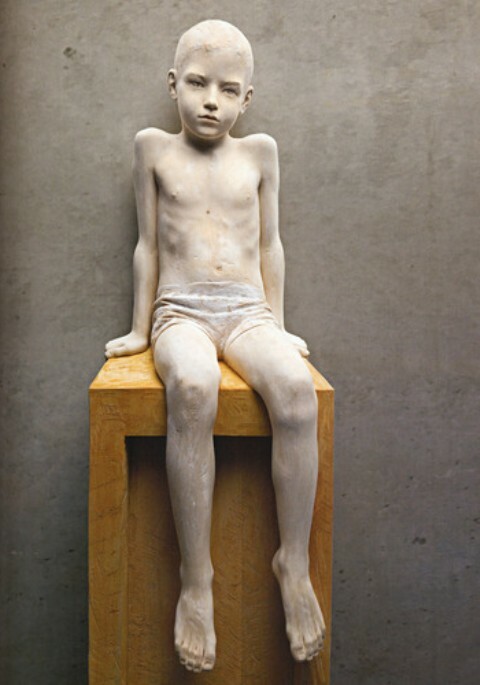 Muscles, eyes and fingers that are carved into wood seem impressively soft and lithe. 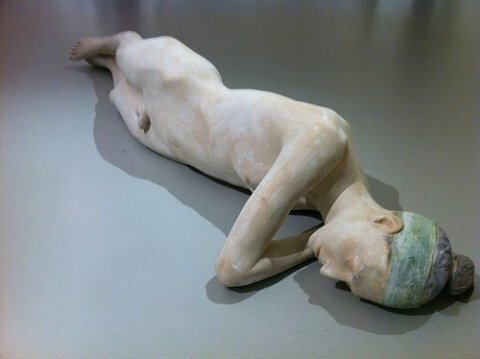 Naturally beautiful, his powdered pale figures show signs of sinew and bones under fragile skin.